Last week, on a surprise visit to see family, Mom made a couple of dishes that I normally don’t cook myself. 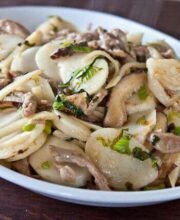 One of them is this Chinese Fried Sticky Rice Cake Noodle dish (long name!) In Chinese, it’s called 炒年糕 Chǎo Nián Gāo. 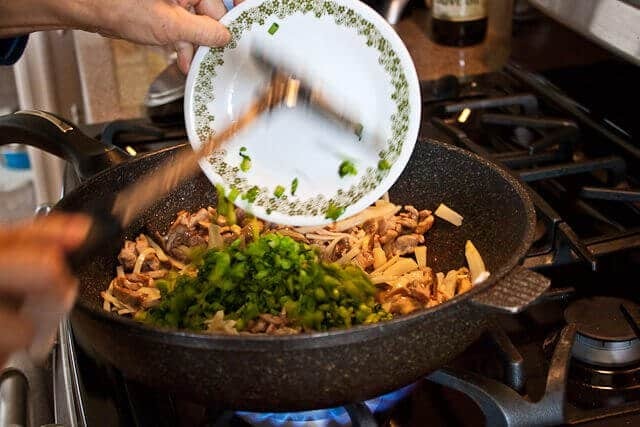 The recipe is from my Dad’s hometown of NingBo in China. 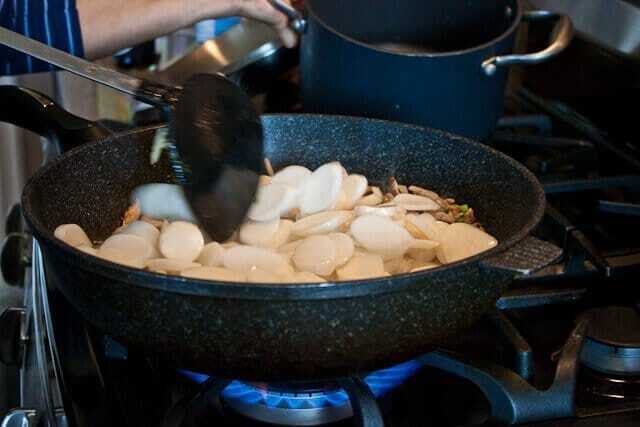 Nian Gao can also mean sticky rice cakes that are fried in egg (savory) or fried with sugar (sweet). 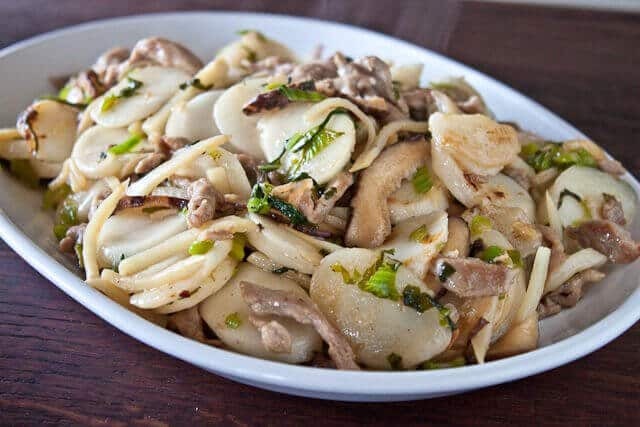 The Shanghainese and Korean version (TteokGuk photo) of nian gao is this recipe, where they take the glutinous rice cakes, cut them into ovals 2 inches long, 1 inch wide, and stir fry them like noodles. You can find these rice cake noodles at Asian markets, either dried form (in the dried noodle section), frozen or in the refrigerated noodle section. Mom likes to buy frozen rice cake noodles, as they keep well in the freezer. They have to be soaked for 2 hours up to overnight in water. Purchase either the Korean or Chinese version, they are the same. Mom used mustard greens that she had salted overnight, but I’ve given easier instructions in the recipe to use Napa Cabbage. and Pork marinated in soy, rice wine, pepper, cornstarch and a pinch of sugar. 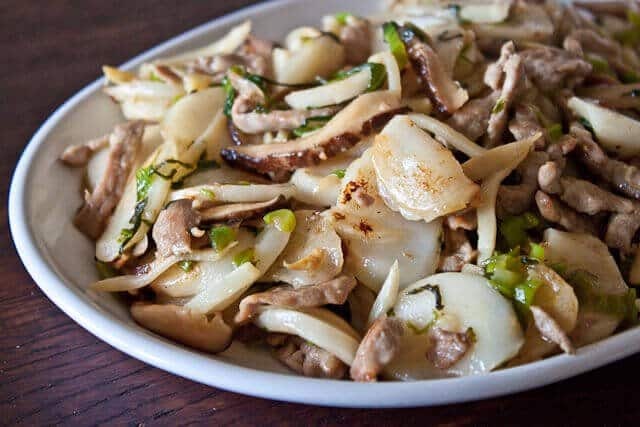 The pork is first stir-fried until almost cooked through. 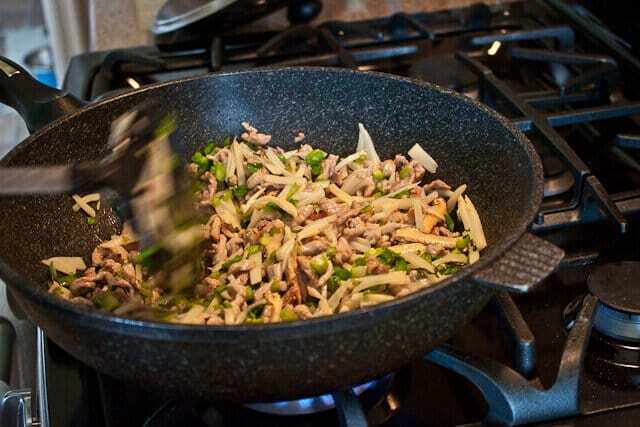 Then add the Chinese mushrooms. Add in the bamboo shoots. Season with a bit of soy sauce. Taste first and add more if needed. Add in the drained rice cakes. Pour in 1/4 cup of chicken broth or vegetable broth, cover, turn heat to low and let cook for 2-3 minutes until the rice cakes are softened. 1. In a large bowl, soak the rice cakes according to the instructions in the headnotes. 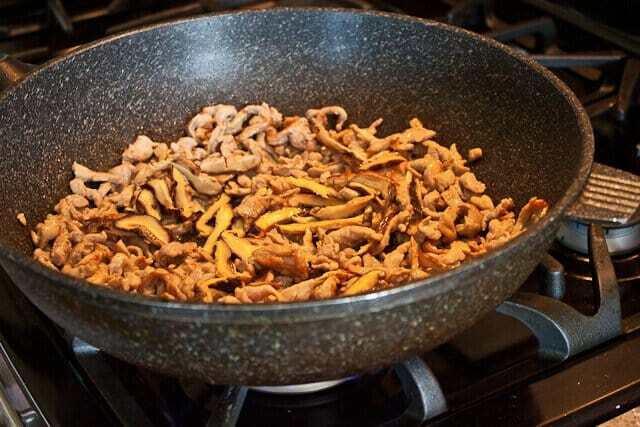 If you are using dried Chinese black mushrooms, in a small bowl, soak the dried Chinese mushrooms for 2 hours or up to overnight until softened. If you are using fresh shiitake mushrooms, skip this step. 2. 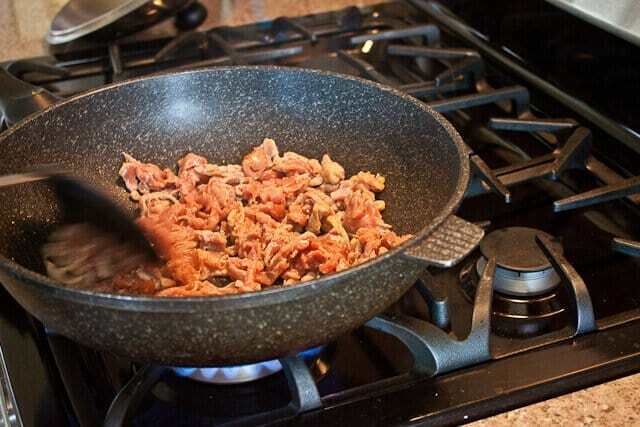 In a medium bowl, combine the 2 tsp soy sauce, black pepper, sugar, rice wine, cornstarch together. Mix in the pork and marinate for 20 minutes or up to overnight in the refrigerator. 3. When you are ready to cook, have all of your ingredients ready. Drain the rice cakes. 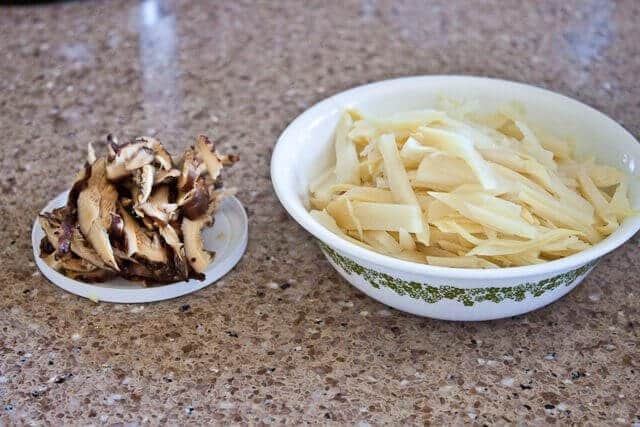 Drain the mushrooms and slice into very thin slices. 4. 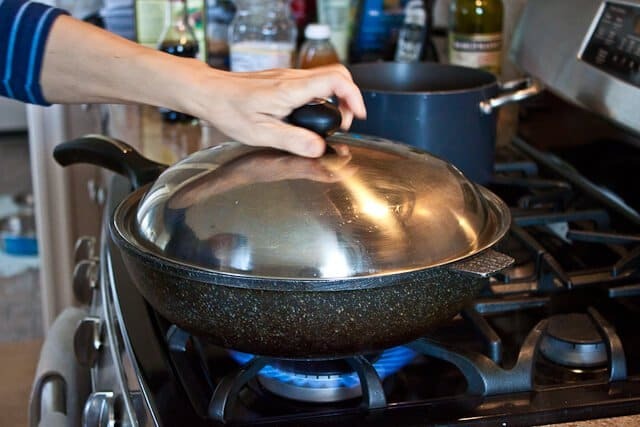 Heat a wok or large saute pan over high heat. When hot, swirl in the cooking oil. Add the pork and cook until browned and almost cooked through. 5. 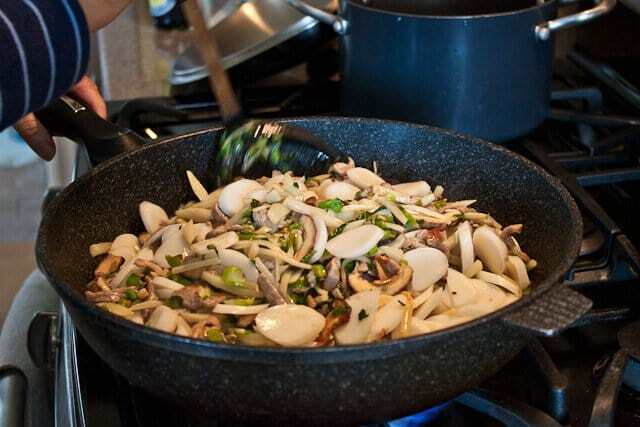 Add in the mushrooms and the bamboo shoots, stir fry for 1 minute. Add in the cabbage and stir fry for 2 minutes. Mix in the soy sauce. 6. Add in the rice cakes and toss very well. Pour in the broth, cover and lower the heat to medium-low. 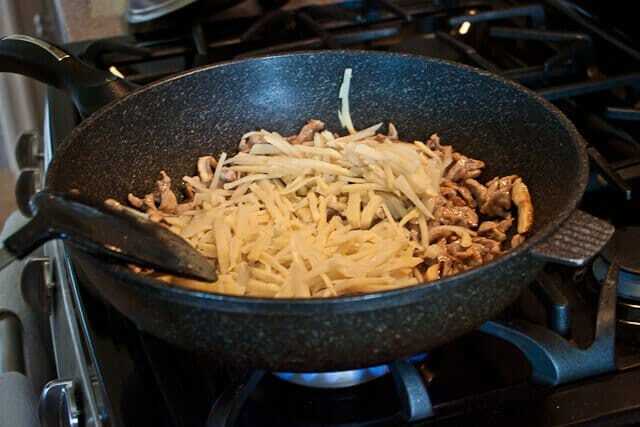 Cook for 2-3 minutes or until the rice cakes have browned a little and are softened. The sticky rice cakes will be just slightly chewy (but not hard to chew) similar to pasta cooked al-dente. Taste and add in additional soy sauce if needed. Serve immediately. Can’t wait to try this recipe! Had a similar dish at a restaurant with my eldest niece; since then, we’ve both been dreaming of making it ourselves. I’d love to make it for my parents; my Mum’s Chinese, but this wasn’t in her repertoire when I was a kid. (I bet it’s because these rice cakes weren’t easily available in Canada in the ’70s and ’80s.) Thank you so much for including the prep info whether dried, frozen or fresh! As well, the comments are so helpful with other ideas! Question, though: what rice wine would you suggest? Mum never used that either, so it’s not part of my own pantry… yet. Would Kikkoman Aji Mirin do the trick? Thx! Hi Janine – Rice wine is a spirit, and can be found at any Asian market. If you cant find, you can substitute with dry sherry cooking wine. Aji Mirin is SWEET rice wine (which is used in Japanese cooking), and is not the same! Happy New Year! We eat this regularly. Would love to connect with you and others whose families come from Ningbo like mine! 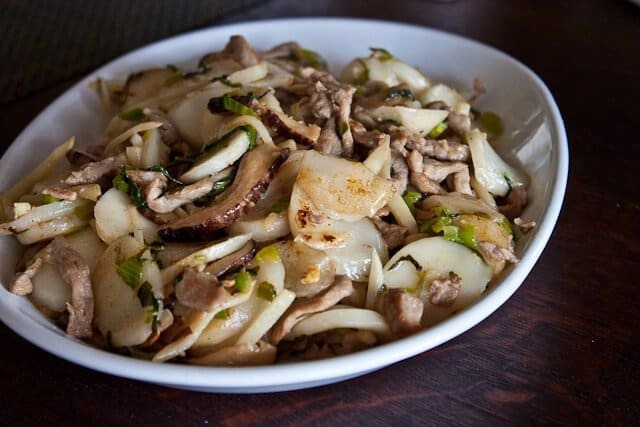 I’m making chao nian gao for a lunch potluck on Friday for work, but I have to make this the night before. How do I prepare it so that they don’t stick together the next day? My plan was to cook them, add extra sesame oil, and then reheat them in the microwave in the office?? Any tips?? 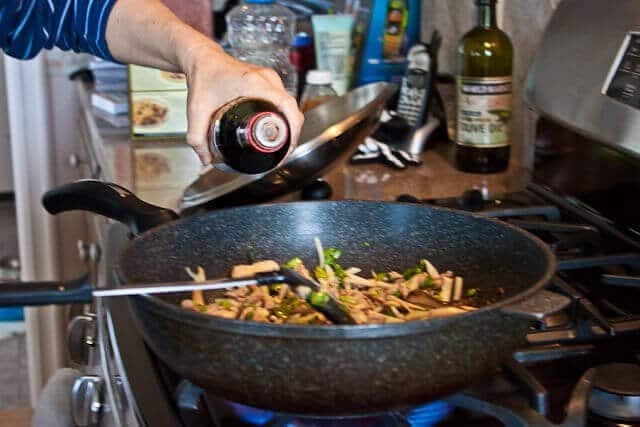 Hi Stephanie – You’ll be fine, no need to add extra sesame oil. Microwave is perfect! I am Chinese American and worked in Korea for a couple of years. I never encountered these noodles growing up in Hawaii (Cantonese cooking dominates) but it was a staple in Korea. Tok is the noodle and Guk means it is a soup. I buy fresh but freeze to make it keep. In soup I just through it in. I encountered this fried in a Chinese restaurant in Boston and my son who lived near Shanghai said it was a chinese noodle. I think when I used it fried I boiled it for a couple of minutes before draining and frying. 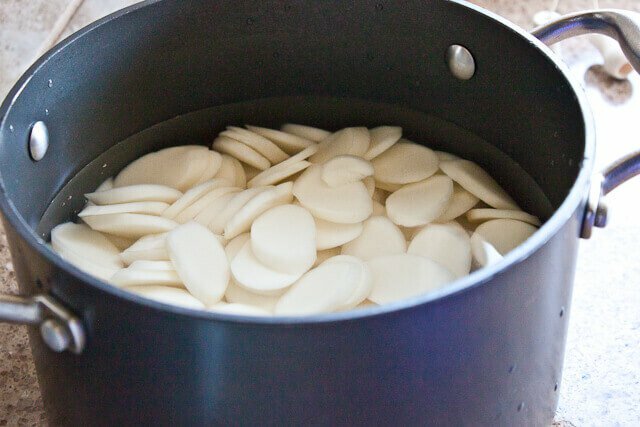 If you don’t have time to wait for the rice cake you can also boil them for about 10 few minutes. I’m korean and i put them in soups, we just dump them in the water.. I haven’t had 年糕 in YEARS! I was at my local Korean market and for the life of me, I could not find Chinese rice wine. I looked in the cooking section next to all the vinegar and even the booze section. Nope! Asking them? That made them confused and then it confused me even more. I read you can use Shao Xing rice wine, which they don’t have either. Where can I find dry sherry? Can I find it at my local grocery store? Will it be okay if I just omit it all together?? CORRECTION. Just read what I submitted and found the last line needs correction. 年糕 sounds like “Year High” but really and actually means (New) “Year Cake”. sorry. I’ve just prepared a similar dish using green beans, dried chilies and a mushroom flavored soy sauce mixed with Black Bean and Garlic sauce. A very fine meal! 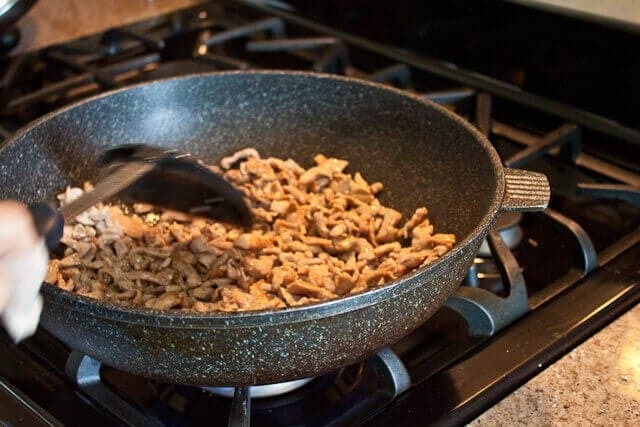 As a shortcut when using the dried cakes, I soak them for two hours in hot water and then boil them for 15 minutes before stir frying. It makes for a dense, rubbery chewiness that isn’t perfect but still very good! Like the other Koreans who have commented, I also had only used rice cakes to make soup (tteokguk), so I’m thrilled to find another use for them (since my freezer is always stocked with rice cakes). I tried this recipe tonight and true to Jaden’s form, it was quick, easy, and delicious. Unfortunately, my two picky-eater toddlers didn’t like the mushrooms or cabbage, so next time I’ll have to substitute with vegetables they DO like (not many!). BTW, the Steamy Kitchen cookbook has become my “go-to” cookbook in the house. It is my absolute favorite among many, many cookbooks I own. When is the second one coming out?! This was delicious. Thanks for the recipe, I’ve been craving it since I had it at my favorite restaurant. eeks! you’re right – I misspelled! Would love to connect with you and others whose families come from Ningbo like mine! 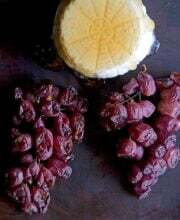 My husband is Chinese, and he says this is just as good as — “if not better”–than his mom’s nian gao. We actually prefer the fresh shiitake mushrooms to the reconsituted black Chinese mushrooms. Thanks for posting this delicious and deceptively easy recipe! I’m looking forward to trying this. I bought the rice cakes, so I’m good to go. But, I was wondering if you could explain how your mom makes it with the salted mustard greens? I love any kind of greens, and I think this way sounds extra delicious. Thanks! I soaked my noodles for hours and when I stir fried them they got harder and harder as I cooked them instead of softer. What did I di wrong. I was using the frozen Korean type. Help! Hi there – hmmm, they should have been just fine. I wonder what the directions say on the package? Thanks so much for developing this recipe because it gave me the courage to cook a dish that I normally order in a restaurant, but do not make at home. Admittedly, I’m accustomed to the way the dish tastes in the restaurants and found your recipe to be different than what I’ve been used to. Not to fear, I truly enjoy your recipes and will continue expanding my horizons with your help. This is my favorite Chinese dish and my grandma taught me how to make it before I left for college! I try to make it at least once a month it is just so delicious and you can play with different ingredients/variations! Thanks Katherine, nice to meet yoU! We had the same plates growing up, too!!!! I try Shanghainese “nian gao” before, but I still prefer the traditional sweet “nian gao”. 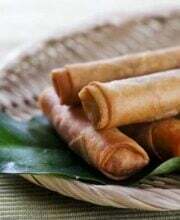 Specially wrap with batter and deep fry together with sweet potato. My local “supermarket” (though it’s not so super) is lacking. If I used chicken broth, will that alter the flavor drastically? Or can I get away with it? Yum! This is one of the favourites of me when my husband’s father visits. Your pictures recall good memories and are making me very, very hungry, hehe. I have only had these rice cakes in Korean soup and I love them…somehow they remind me of my grandmother’s dumplings. I have never had them fried though; that should take them up several levels!! Thanks for the recipe! Would love to make this vegetarian. What would be a good substitute for the pork? Tofu? Portabella mushroom? Looks delicious! Rice cakes are always a hit! I love this dish! My parents know it’s one of my favorites so they always make it when I go home. I love the slightly sticky, chewy texture of the nian gao. So pleased to see our paths will cross again this May at the Blogher Food conference! Looking forward to breaking bread with you once again. OMG. My parents have the same plates. Yum! Can’t wait to try this. Rice cakes are one of the things I miss most from living in Chinatown! Thanks so much for reminding me of them and teaching me how to make them. Quick question: why would fresh ones have to be soaked first? Is it to start cooking them (but then I assume the water would have to be warm?) or just to rehydrate them? The fresh rice cakes still need to be soaked because they are so dense and thick. The soaking water should just be regular cool tap water. You could cook them in hot water for a few minutes instead of soaking them in cool water for 2 hours, but the texture would be just a bit different. That’s it. I want to meet your mother. Growing up Korean, I’ve had tteokguk countless times, but I never knew the Chinese used this kind of rice cake. This will surely become another way to use them up in my house….thanks! 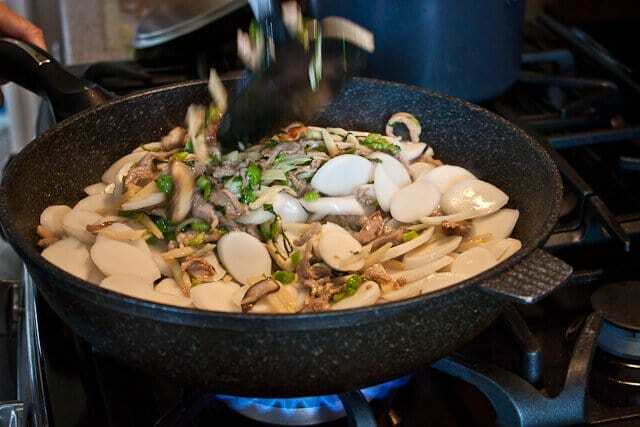 Thanks, my husband’s family is from Ningbo as well and it’s a favorite dish that I don’t know how to make! I’m excited to try your recipe. I love rice cakes but never tried making them at home. Now it looks like I’ll have to at least give it a shot! Looks great, thanks! Wow, Jaden this sounds delicious. Have to try this one with a little twist of course because I have to be careful of my sugar levels. Looking at recipe i think most of the flavor must be coming from the veggies and pork rather than the minimal spices. Thanks for sharing. odd… never seen this kind of dish here in manila… we usually have nian gao during CNY… fresh, dipped in scrambled egg and fried. they are made sweet. i’ve never seen then dried or frozen here, even off season. LOVE,love your website,the step by step instructions,so easy to fallow!Thank YOU!! This has to be one of my favorite dishes, comfort food for sure. My chinese mom who makes most things from scratch and cooks elaborate 8 course meals thinks it’s much easier to order this when we go out than to make it at home for some reason. I just had some from Joe Shanghai’s in NYC along with some delcious soup dumplings of course. 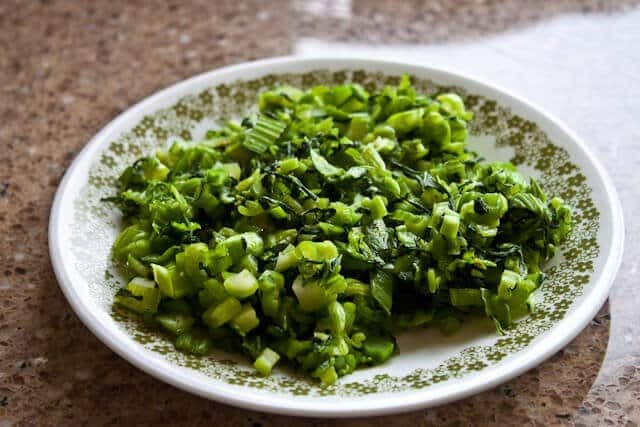 After having a dish similar to this at a local Shanghainese restaurant I was hooked. Rice cakes are so much fun to eat as they are tasty! Thank you so much for sharing this wonderful recipe! Also thanks to your mom!! Yay! Thank goodness I have you! This sounds amazing! Can you believe I’ve never had this? My mom never made this sort of this. I’ve seen it in the stores and restaurants but for some reason there were always other noodles that we picked over these. They’re kind of chewy, aren’t they? Jaden, this reminds me of the nian gao my mom made when I was growing up. I love homemade Chinese food, and miss a lot of the foods my parents used to cook, including this dish. During my recent visit home, I made copies of a bunch of my mom’s hand written recipes, many for Chinese homemade rice and sticky rice cakes of all sorts, what a treasure. The older my mom gets, the more I treasure all those recipes and the ones that are in her head. I’m trying to get her to write down as many as she can so I will have them for generations to come. My favorite dish next to beef chow fun. Got to pick up the nian goh now…mmmmmmm…can’t wait. Thanks for the recipe! Bet we could find those rice cakes at one of our local markets. It looks like a really filling meal but with lots of veggies. Like that a lot!